Ender’s Game is about preteen boys training to become space commanders. There is no way of getting around that. 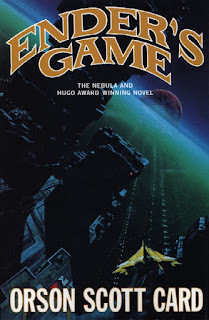 Unapologetically sci-fi, on the surface, Ender’s Game sounds like a poor episode of Star Trek or one of the fictional novels of fictional novelist Kilgore Trout. Once you get past the silly premise, however, Ender’s Game is a brilliant and pleasingly short epic about leadership, war and the (sometimes necessary?) abuse of power. Andrew “Ender” Wiggin is a child – 6 years old in the beginning – who is drafted to military school in preparation of a third act in an interplanetary war with an alien species, the “buggers”. The school, a space station in close orbit, was once home to his older brother, who was dispelled for his violent and unpredictable character. Unbeknownst to Ender, he has been deemed the only hope to lead humanity’s starships in a last effort against the threat. He is isolated and humiliated by his superiors in an effort to turn him into a ruthless leader. Described in this way, Ender’s Game may sound dull, even run-of-the-mill. A recent, fairly average, movie seems to indicate the same thing. Undaunted, I followed a friend’s recommendation to read it with an open mind. 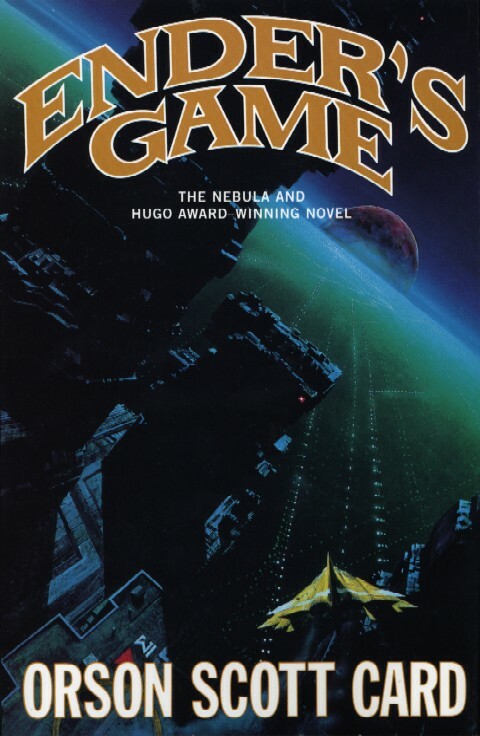 Once I got past the implausible seriousness of the children – they sometimes speak as if augmented with an elder statesman implant – I started to enjoy Ender’s Game. I hugely enjoyed the author’s stylistic choices. Science fiction sometimes gets too tangled in trying to explain all the ways an imagined world is different to the one we live in. Card has chosen to give a minimal amount of description about Ender’s surroundings. For example, the space station is described as a rotating doughnut spinning around a central arena, and it’s corridors slope upward as a result. Beyond that, there is little discussion of what it is actually like inside. Card’s focus is instead on Ender’s mind and the relationships of the school’s boys (and few girls). Readers are given just enough context to fill the atmospheric void. As a result, Ender’s Game has aged extremely well: readers are able to substitute the lack of specificity with technology from the current age. Another triumph is Card’s way of establishing power in the confines of the space station. Power is distributed unevenly between the children. Platoon commanders are responsible for their troops and suffer that responsibility in different ways. Their subjects rebel, submit and try to subvert their commander’s power. Their power is based on superior age, abilities and ruthlessness, not on their skills as a leader. Power is explored methodically, inch by inch, in a sequence of escalating events that keep the story moving and genuinely affect the children. Even minor characters have credible story arcs as they are forced to live under new circumstances. Yet, the children are defenseless against the power of the school’s adults, who mercilessly intrude on their lives or stay back even when they would be needed. In its brief 300 pages, Ender’s Game manages to be a coming-of-age story, a leadership guide and an exploration of war. It is mostly self-contained, although it is the first in a long series of stories from the same universe. I was not so enamored with this world to immediately reach for the next book in the series, but it is not out of the question either. Ender’s Game is part Lord of the Flies and part Starship Troopers – extremely serious, but partly absurd. Card walks that fine line well.